Unfortunately, I am finding myself facing unforeseen financial hardship and need to quickly come up with some extra money. Because of this, I have had to made the decision to sell the Yo I had been working to build up over the past year. 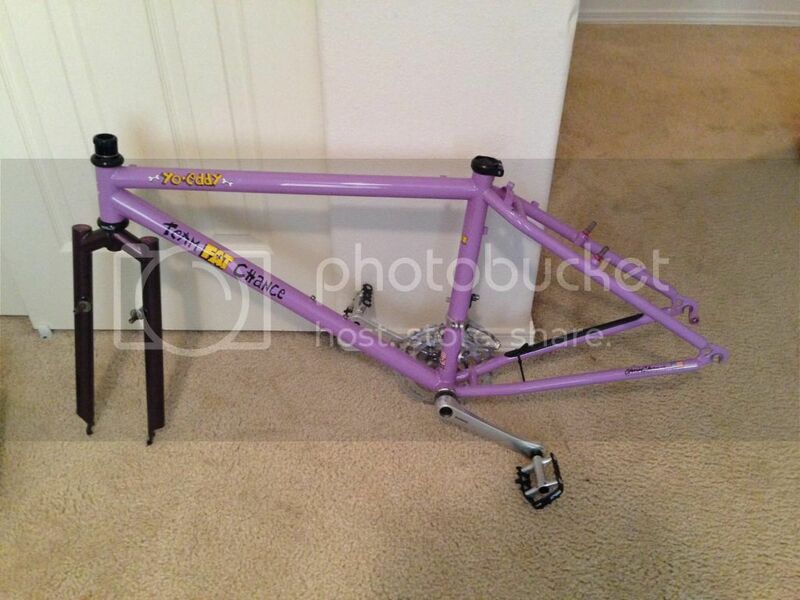 I originally purchased this from fat-tony on here, and he had this 93 repainted team lavender and had original Fat decals applied under clearcoat. 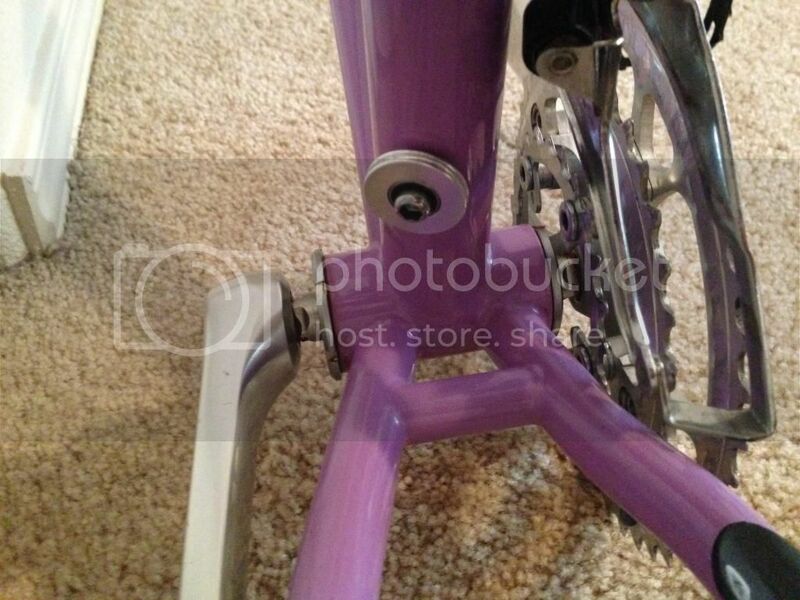 The only "damage" to the paint is from having a wheel in the drop-out and a rear derailleur mounted. 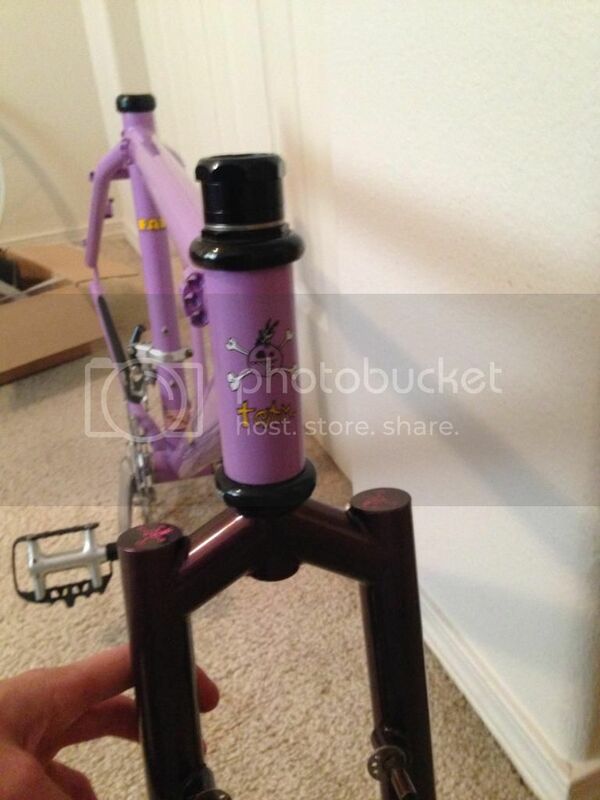 I was able to find a Yo fork for it and planned to get it painted, but never got that far. It still has original paint and decals. 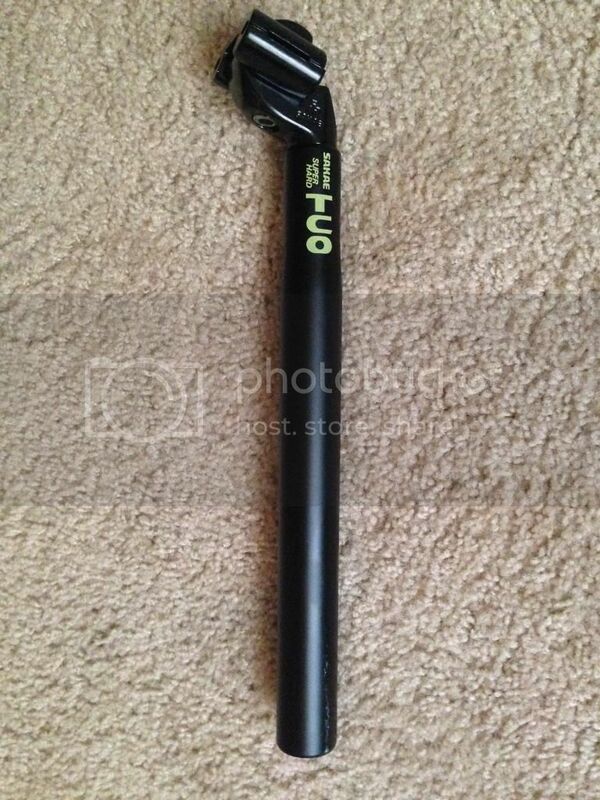 I was planning on trimming the steerer tube too, but its pretty cheap to have it done or just buy a Park steerer tube cutting guide for $25.00 and a hacksaw. 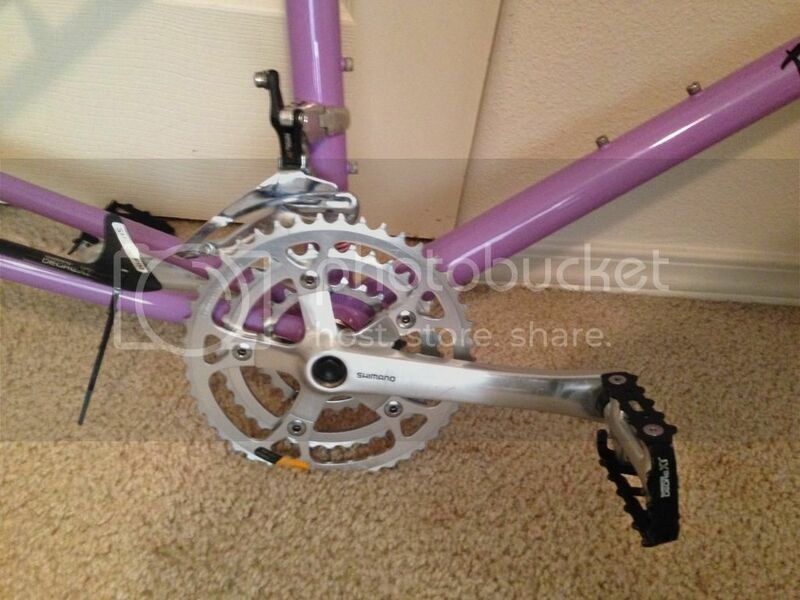 Some scratches and scuffs, but the fork is completely structurally sound and has no dents or dings. With the frameset, I am including a Shimano XT headset, NOS XT M730 BB, and very lightly used M730 crankarms if you want them. I will be keeping the pedals, as I actually beat on my Wicked and have kept parts that I know I will end up needing. Oh, can throw in one of those Sakae TCO 29.4 posts that has never been used as well. 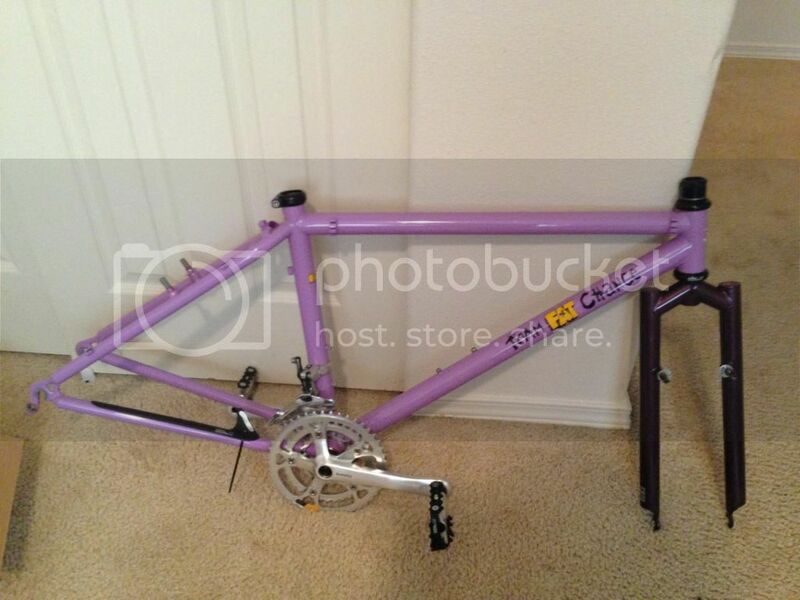 I am asking $850.00 not including shipping for the bike and can accept payment via PayPal. Please feel free to make an offer as well. I have about 6 years experience working in a shipping department for a mail-order bike shop. It will be packaged very, very well. If this sells quickly, which would be really awesome if it did, I will need a few days to get a bike box to ship it. I live in a small town outside Mt. Hood, Oregon and will need to drive into Portland to get a box. Good luck to you with the sale. 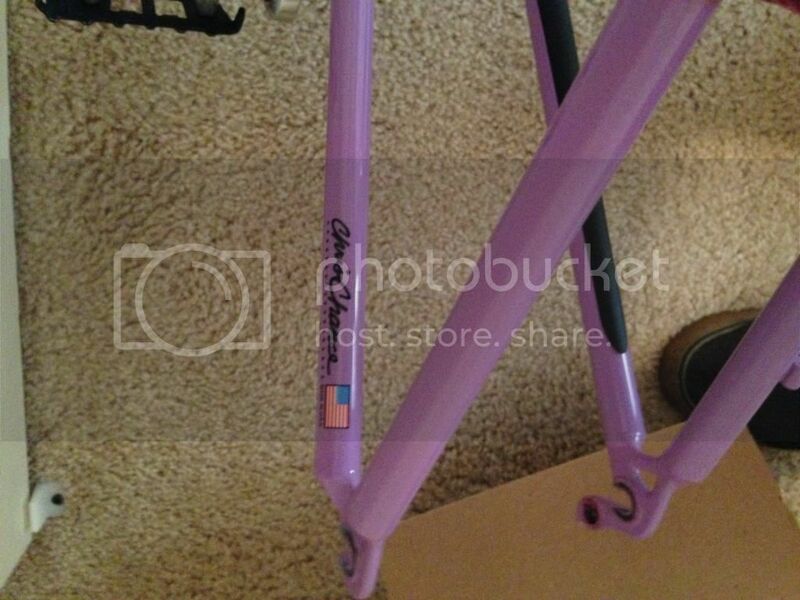 It's a beautiful paint job from D+D Cycles. Send "awesometown", who is a member here on Fatcogs, a private message. He had a wanted ad posted for a S/M Yo a week or so ago. Thank god, because I have never been so tempted to buy a bike too small for me. Can't wait for the courier to arrive. Guess I'll have to be patient, as the distance is 4843 miles to its new home. Matt, (and Tony before that) - I will treat (her?) with the respect she deserves! Frame & Fork now in Sweden, 4843 miles / 7794 Kilometers away.